Xpert Environmental Services Inc. has on its staff, Council Certified Indoor Environmental Consultants. Xpert Environmental Services has conducted Environmental Inspections for Multi Million Dollar Commercial real estate transactions, Residential Homes, Condominium Complexes, Hotels and Resorts, Commercial and Industrial Properties, law firms, Medical Facilities, Schools and various Government Institutions. Xpert Environmental Services has conducted projects in health related industries, such as, Medical Centers, Day Care Centers, Nursing Homes, Government and Special Service Centers. Xpert Environmental Services Inc.has participated in contamination cleanup projects involving hurricane Disaster response and recovery, from hurricanes through out the entire state of Florida and Louisiana. Affordable and Professional - Contact us today for a free consultation! We take the Mystery out of MOLD.....! Indoor air pollutants produce the same symptoms as many illnesses…including....fatigue…. headaches…nausea…scratchy throat and nasal irritation. However there is something you can do about it…! 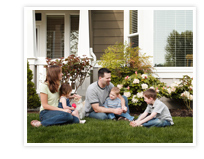 To get a clear picture of your homes indoor air quality…call and get an Xpert Environmental Services air analysis. It's...Fast....Professional…Reliable...Next Day Turnaround. Affordable and Professional....Protect your Health...and Your Property.....For Your Health and Peace of Mind..... We Offer Affordable Mold Assessments....Water Damage and Allergy Testing...We also Provide FULL Indoor Air Quality Services....Xpert Environmental Services Inc. is a full service Indoor Air Quality, Mold Inspection Company serving Miami and all of Florida. Who Can You Trust? The reason to hire a professional is to have someone on your side, a non bias third party that's going to cut through all the hype and BS. Someone that's not there to sell you expensive products and cleanups. Someone to help you get the information you need to make an informed decision. Someone to conduct a thorough inspection and investigation. Someone that has been trained and understands the fundamentals of both fungus and building construction. We offer both residential and commercial mold inspection services. Unfortunately there are some unscrupulous businesses out there trying to make a quick buck on the current fear and hysteria concerning mold. Whether it's gathering information to file an insurance claim, working with your remediation company, or helping you to fix the problem yourself, you'll get the most up to date, accurate and current information possible. You'll get friendly courteous service, and honest answers to your questions, Not a lot of Hype, and BS. The problem faced by most home and property owners is that moisture behind walls, over ceilings, and under floors is often impossible to detect until the problem is excessive and visible to the naked eye. Since the investigation and removal of infestations of not yet visible mold in structures is often difficult, technology is now being used to do what once was impossible. Locate and pinpoint hidden water intrusion and leaks with non-destructive thermal technology. Immediate documentation of water damaged structures, plumbing and building envelope damaged structures, plumbing and building envelope damaged structures, plumbing and building envelope. Water leakage, post -flood and energy use inefficiency. According to the U.S. Environmental Protection Agency, there is no practical way to eliminate mold spores in an indoor environment. The best way to control mold growth is to control moisture. Mold can begin growth in as little as 24 hours. Roof leaks and water pipe leaks are common sources of water accumulation that may cause mold growth. A mold problem is a moisture problem, so when thermal technology is used to find moisture, and it actually finds moisture, it becomes possible to prevent mold and rot from taking hold or to remove the mold that actually grows. The thermal image (left) clearly shows a leaking bedroom ceiling (visible, right). The leak was assumed by the owner to originate in an upstairs marble-paneled bathroom in the $3 million home. The estimated cost to rip out and replace the marble to access the plumbing was estimated at $80,000! Further IR investigation absolved the bathroom and traced the source of the leak to a clogged weep hole under the threshold of a door leading to an upstairs porch. For more information on thermal imaging click here. Mold has the potential to cause health problems to anyone however everyone is affected differently when they come in contact with mold. The mold that may cause sever illness in one person may leave someone else living in the same environment completely un affected. Some Molds can produce allergens, irritants and in some cases, potentially toxic chemicals known as Mycotoxins. People who are sensitive and exposed to mycotoxins can become ill. Allergic reactions to mold is common. They can be immediate or delayed. People diagnosed with allergies and asthma may be very sensitive to mold. 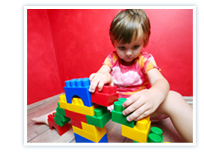 Mold can cause asthma attacks. Who is the Most Affected by Mold? Virtually anyone can be affected, however small children, babies, pregnant women, the elderly and anyone with a compromised immune system, or individuals with existing respiratory conditions are especially at risk. There are only a few ways that someone can be exposed to mold. 1. Breathing the spores from the air. 2. Skin contact from handling an item that has mold growing on it. 3. Eating without properly washing your hands after handling moldy objects. Is Mold Really As Dangerous as it Sounds? The answer is YES in certain circumstances it can be very harmful. You should take this threat seriously. If I can’t see any mold does that mean I don’t have a mold problem? Did you know that the National Association of Industrial Hygienist estimate that more than half of building microbial problems are not visible. You may suspect hidden mold if a building smells moldy, but you cannot see the source, or if you know there has been water damage and residents are reporting health problems. Mold may be hidden in places such as the back side of dry wall, wallpaper, or paneling, the top side of ceiling tiles, the underside of carpets and pads, etc. Other possible locations of hidden mold include areas inside walls around pipes (with leaking or condensing pipes), the surface of walls behind furniture (where condensation forms), inside ductwork, and HVAC units, in roof materials above ceiling tiles (due to roof leaks or insufficient insulation). 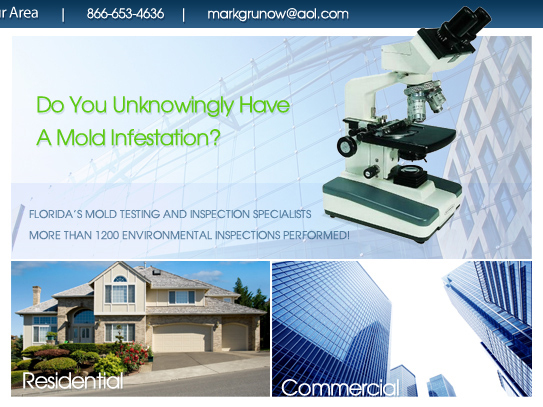 We also provide mold testing Fort Lauderdale FL. Market Hardware, Inc. | Additional text content Copyright © 2019 Xpert Environmental Services.